Oklahoma Sooners star Kyler Murray was named the top quarterback in college football this season as he won the 2018 Davey O'Brien Award on Thursday. Murray beat out Washington State Cougars senior Gardner Minshew II and fellow Heisman Trophy finalist Tua Tagovailoa (Alabama) for the award. 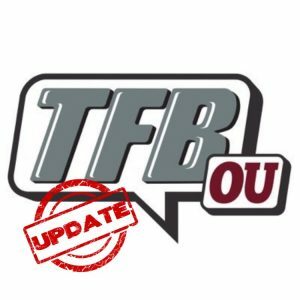 In his first year as the starter in Norman, Murray completed 70.9 percent of his passes for 4,053 yards, 40 touchdowns and seven interceptions while adding 892 yards and 11 scores on the ground as well. He ranked second in the nation in completion percentage, third in passing yards, second in touchdown passes and tied for first in points responsible for (306). All of that comes as the Sooners defense ranked 108th in total defense, 96th in scoring defense (32.4 points per game) and 128th (out of 129) in pass defense. Despite not receiving much help from the defense all year, Murray was able to lead Oklahoma back to the College Football Playoff for the second consecutive year. Murray and the Sooners will take on Tagovailoa and the Crimson Tide in the Orange Bowl on Dec. 29. Murray becomes the second consecutive Sooner to win the Davey O'Brien Award, following in Baker Mayfield's footsteps. He also becomes just the fourth player in program history to win the award, joining Mayfield, Jason White (2003-04) and Sam Bradford (2008). The good news for Murray is White (2003), Bradford (2008) and Mayfield (2017) each won the Heisman along with the Davey O'Brien Award. Murray will have the opportunity to add to his hardware collection on Saturday in New York at the Heisman Trophy ceremony.